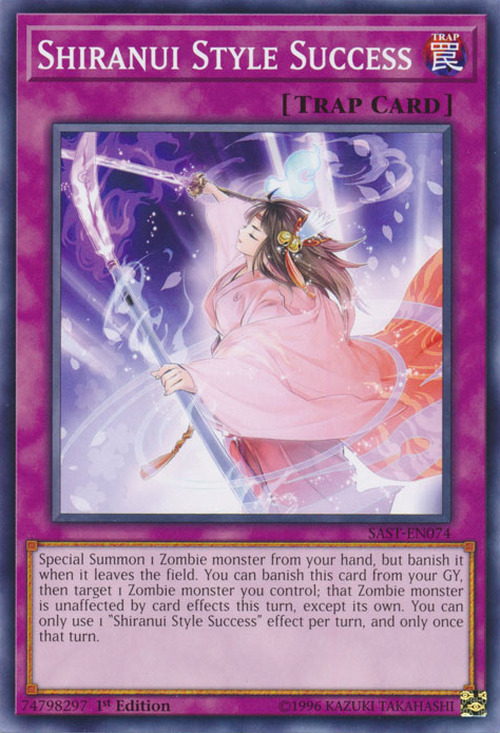 Special Summon 1 Zombie monster from your hand, but banish it when it leaves the field. You can banish this card from your GY, then target 1 Zombie monster you control; that Zombie monster is unaffected by card effects this turn, except its own. You can only use 1 “Shiranui Style Success” effect per turn, and only once that turn. This card's artwork may depicts the transformation of Shiranui Squire into Shiranui Squiresaga.